LED indicator shows the charging progress: 25% - 50% - 75% -100%. 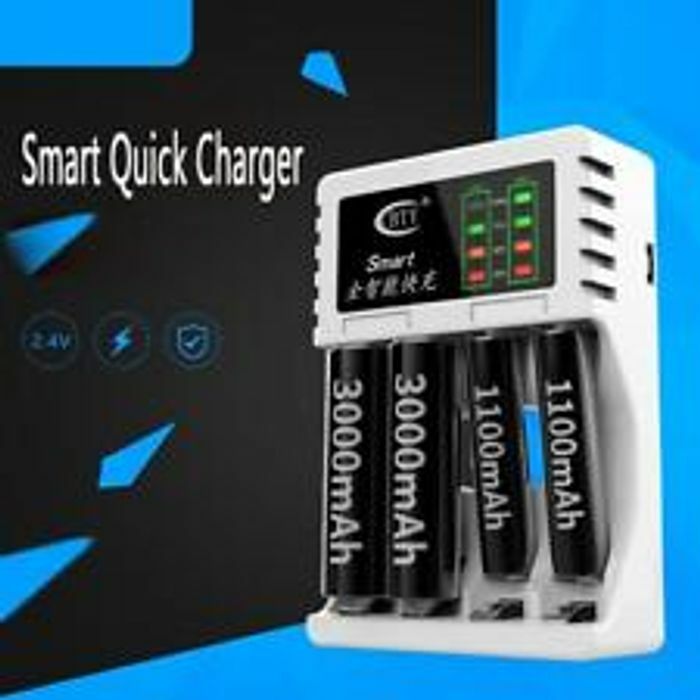 AAA battery: 320mA x 1, 320mA x 2, 320mA x 3, 320mA x 4. AA battery: 320mA x 1, 320mA x 2, 320mA x 3, 320mA x 4. Short-circuit protect: avoid the battery polarity " /-" Short-circuit protection." Unfortunately there is a checkout error!